Bryce McCuin, Director of Marketing for a2b Fulfillment, recently sat with Doug McPherson of Response Magazine to talk about how fulfillment providers are working to keep consumers happy, even amid their rising expectations. McPherson: What are three key issues facing performance-based marketers when considering their fulfillment partnership today and why are they so significant? McCuin: First and foremost, the location of your fulfillment center is key. It’s essential to be close to where the bulk of your customers are located. Why is that important? Well, the closer you are, the shorter the time in transit. You want to make sure that you are able to reach the bulk of your customer base in 1-3 days and do it cost-effectively. Second is scalability. You need a fulfillment provider that can support increased volume as your media hits and those orders ramp up. Do they have adequate space and labor to accommodate your seasonal peaks? Are they able to maintain standards even during the busy periods? In today’s climate, you must also factor in a fulfillment partner’s knowledge within the retail space. Be sure that they have the flexibility to shift quickly and integrate with new e-commerce marketplaces. Finally, there’s technology. Progressive fulfillment providers understand the value and opportunities that advanced, modern technology brings its clients. With the way that system capabilities are constantly evolving, how much time and money do you have to keep up with that growing demand? Be sure you partner with a company that embraces technology; specifically, the integrations that you need for your growing business. McPherson: What are the three best opportunities for performance-based marketers in working with a fulfillment vendor today? McCuin: Time is a huge one. Marketers didn’t get into product selling so they could become logistics experts. It’s vital that they focus their time and energy on growth functions like R&D, marketing and sales. Next, there is experience. This is crucial in the performance-based marketing industry. It’s important to work with someone that understands this unique business model and its peaks and valleys. Be sure that the fulfillment operation has the knowledge and relationships to effectively consolidate your orders from the web and call centers, process payments, manage continuity and help you track the success of your campaign. Last but not least, there’s customer service. Many times, personalization ends when the order gets placed. There are several ways you can tailor the order fulfillment experience to make a stronger connection with your customer or even cross-sell additional products. A focused attention on your packaging and delivery experience is an ideal way to stand out against the competition. McPherson: What three trends must marketers be aware of regarding fulfillment during the next 12-18 months? McCuin: Companies must be able to adapt to multi-channel sales, while also getting product out fast and cost-effectively. 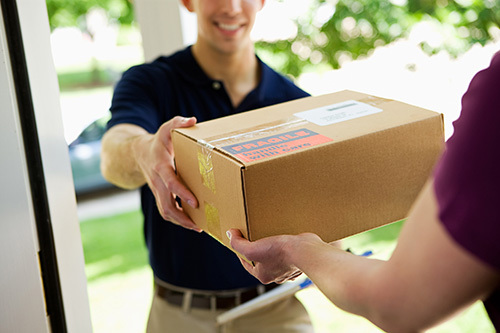 In talking to a fulfillment partner, you need to be sure they are processing orders quickly and their location should fall within close range to the majority of your customers to lower your transit time; which in turn saves you money. Another one is online sales. The savvier customers become in their shopping, the more complex the order management. It’s no longer just web and call center any longer. A recent study showed that online sales in the U.S. are expected to reach $523 billion in the next five years, much of which will be done via mobile devices. Are you able to keep up with the online buying demand? A strong fulfillment center will be spending hours of time working on these integrations and upgrading systems regularly to stay ahead of the curve. Finally, order fulfillment itself is changing. Warehouse space is in very high demand. The fulfillment operations that continuously evaluate the market, keep up with the trends, identify and eliminate inefficiencies and reinvest in the right technologies will be the ones that come out on top. Be sure to understand what plan your potential fulfillment provider has in place to stay ahead of the curve in today’s ever-changing fulfillment landscape. McPherson: What should marketers look for in their fulfillment partners when considering the changing needs facing direct-t0-consumer marketers in the shifting retail/e-commerce environment? McCuin: Relationships are crucial in performance-based marketing. You’ve got your call center, payment processor, media buyer, etc. But retail is expanding that need. The online marketplaces on which to sell products is growing. Make sure your fulfillment provider has experience in integrating with the retail channels that you anticipate selling in. Also, is the fulfillment operation you are considering a turnkey solution or do they only specialize in certain areas of order fulfillment? Look for a provider that’s nimble and can evolve with your growing needs as a marketer. You may not need certain services now, like say call center or returns management, but knowing you can keep those services under one roof when the times come can be comforting as you make your final decision.